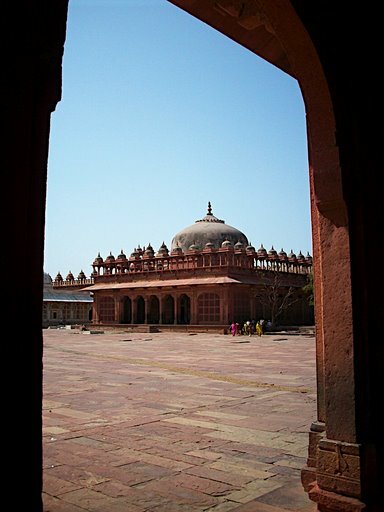 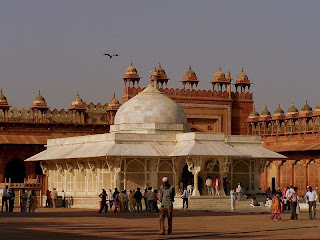 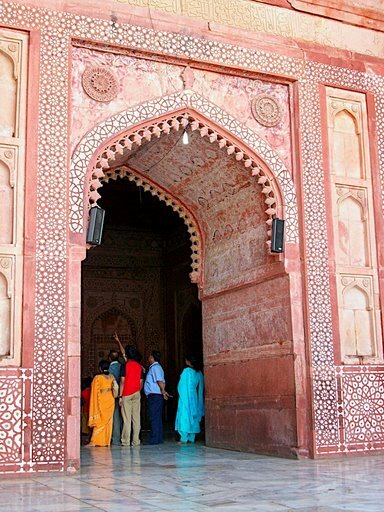 Fatehpur Sikri or the City of Victory, is located in Agra. 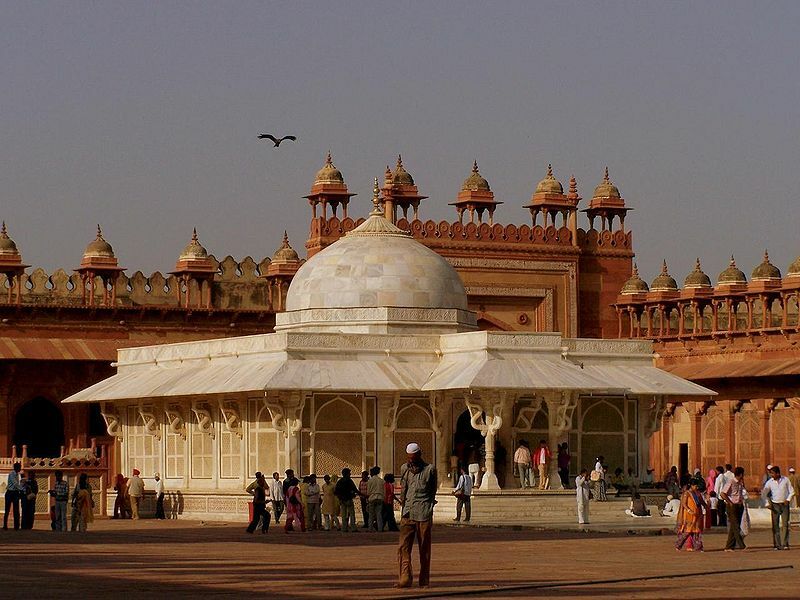 It was founded in 1569 by the Mughal emperor Akbar to honor the Muslim saint Shaikh Salim Chishti, who had foretold the birth of Akbar’s son and heir, Jahangir. The city was Akbar’s capital until 1584. 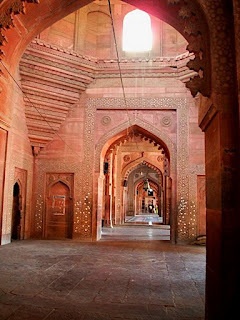 By 1605 it was largely deserted because of the inadequate water supply.
. Babar, the founder of the Mughal Dynasty and Akbar's grandfather, had won a battle here over Rana Sanga of Mewar. 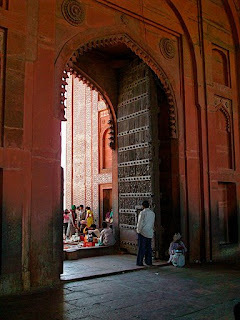 In gratitude he named the area Shukri, which means "thanks". In Akbar's time the site was occupied by a small village of stonecutters and was the home of Shaikh Salim Chishti, a Muslim astrologer and Sufi Saint. 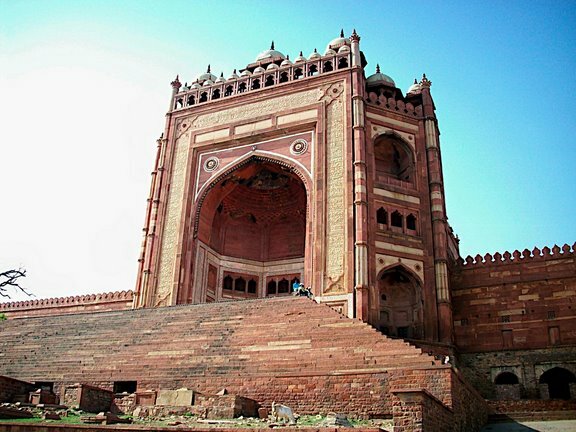 two years later decided to move the capital to Sikri.